UK promoters, Colours, aim to celebrate all that was great about The Arches in Glasgow. On Friday, 29 September the brand will be taking over The SSE Hydro for a night of dance floor anthems with a twist. 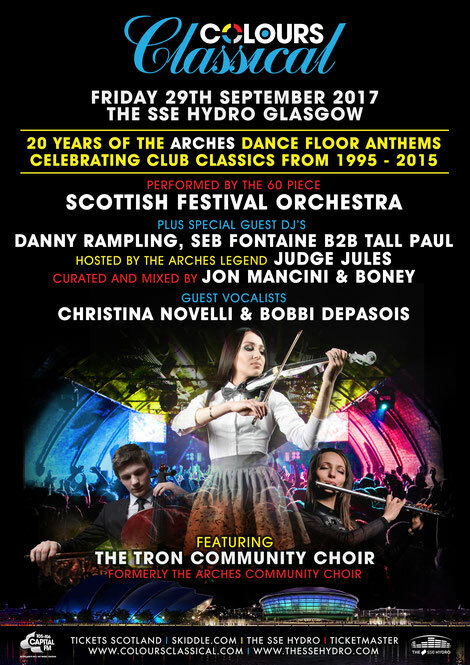 Joining them on the night will be the 60-piece Scottish Festival Orchestra, who will play some of dance music’s most recognisable tracks, tunes that made The Arches such a memorable venue during the brand’s 20-year residency. The Arches was the brand’s spiritual home between 1995-2015, where the high profile DJs they brought to the Glasgow venue included Carl Cox, Sasha + John Digweed, Swedish House Mafia, David Guetta, Eric Prydz, Paul Oakenfold, Frankie Knuckles, Erick Morillo, David Morales, Paul van Dyk, Deadmau5, Dimitri Vegas and Like Mike, Hardwell and Armin van Buuren. Those in attendance can expect to hear some of the biggest and best dance music tracks from their time at the club and the night will feature Colours’ stalwarts including Danny Rampling, Seb Fontaine and Tall Paul. 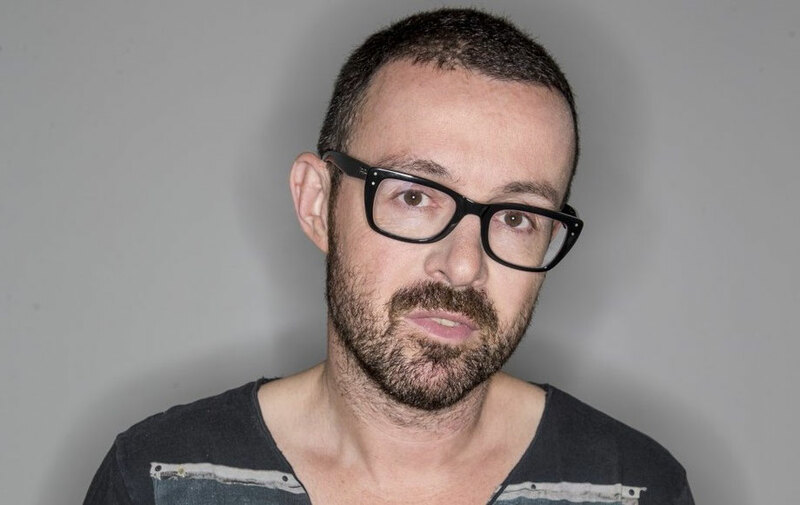 To be hosted by Judge Jules, guest vocalists will include Christina Novelli (the voice of Concrete Angel) and Bobbi Depasois (K-Klass), plus more to be announced. In addition to the Scottish Festival Orchestra, Colours will also be working with the Tron Community Choir (formerly The Arches Community Choir) to bring you this event. 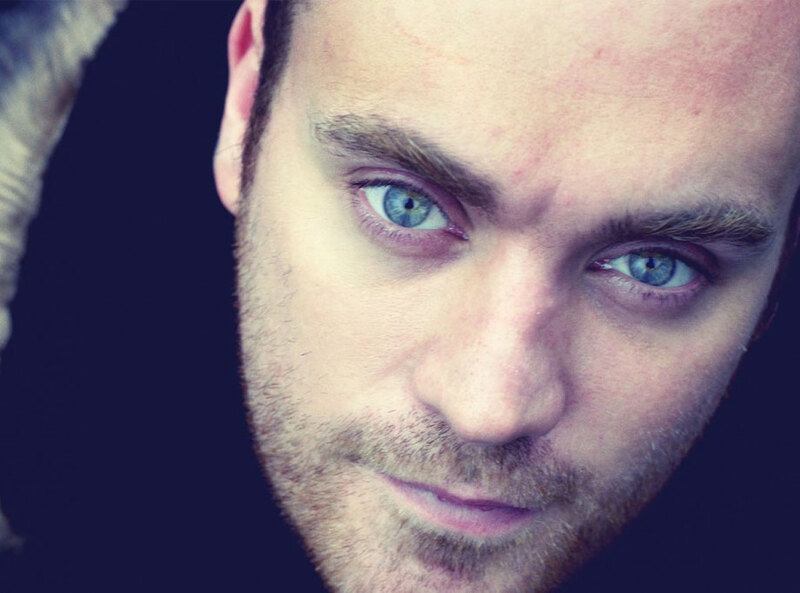 The Scottish Festival Orchestra, apparently assembled from the leading professional orchestral musicians in Scotland, regularly perform with a wide range of artistes at many major venues throughout the country. Ben Folds, Nicola Benedetti, Belle and Sebastian, Idina Menzel, Eddi Reader and the Chieftains are only a few of the household names that have performed with the orchestra. Conductors have included, John Pryce-Jones, Iain Sutherland, Rob Moursey, Gavin Sutherland, Sir James MacMillan and Robert Ziegler. The administrator for all the orchestra's activities is independent orchestra contractor and professional freelance cellist John Davidson.